Tianji Tower, the leading organisation of the pugilistic world is determined to overthrow the tyrannical ruler Liu Ziye. To achieve their mission, Tianji Tower replaces his sister Liu Chuyu with their own disciple and Princess-lookalike Zhu Que. Zhu Que meets the Princess’ learned companion Rong Zhi, who turns out to be a spy from Northern Wei. 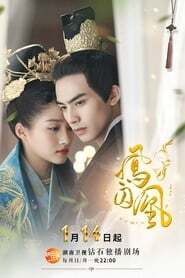 Liu Chuyu and Rong Zhi’s relationship eventually breaks down over misunderstandings and differing loyalties, and the latter fakes his death in order to regain Chuyu’s forgiveness. Somehow they accidentally lose their memories, and only meet five years later when Chuyu is sent to marry Northern Wei’s Prince regent, who is none other than the now amnesiac Rong Zhi. Shin Dong-Yub (Shin Dong-Yub) used to be a top star, but he is not anymore. Jung Sang-Hoon (Jung Sang-Hoon) is a single father and he works as a loan shark….